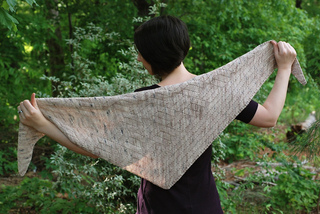 The last shawl of the Archi-Textural Collection, a collection of four textured shawls. 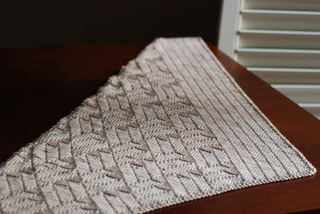 All four patterns can be purchased as a set, at a discounted price. 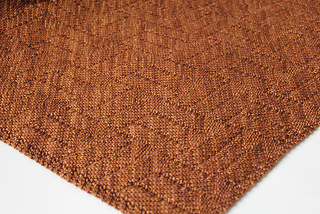 The subtle diamond pattern of this elegant shawl resembles the intricate tile work of wooden parquet floors found in grand old homes. 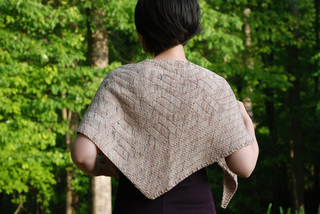 The textured pattern is easy to work as it uses only knit and purl stitches. 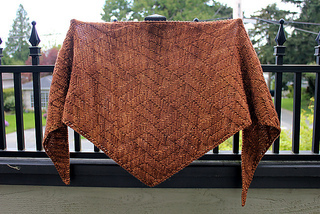 The narrow triangle shape is knitted side-to-side, and instructions are included for both a symmetrical version and an asymmetrical version, which has “stripes” along one side for a more graphic visual effect. Charted instructions are used.